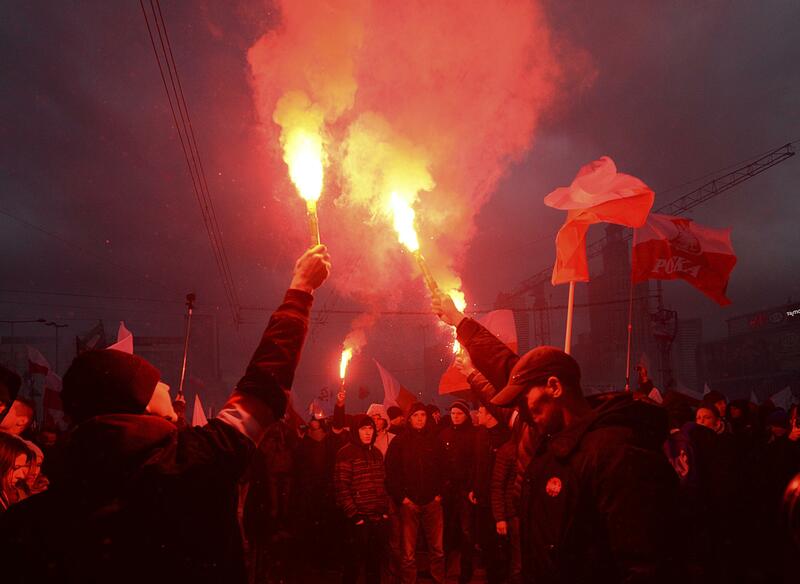 UPDATED: Sat., Nov. 11, 2017, 2:42 p.m.
WARSAW, Poland – Tens of thousands of nationalists marched in a demonstration organized by far-right groups in Warsaw Saturday, as Poles celebrated their country’s Independence Day. Published: Nov. 11, 2017, 11 a.m. Updated: Nov. 11, 2017, 2:42 p.m.